The 7,200m2 site is built to high energy efficient standards and provides a new centre for academic and vocational further education. The design consists of three distinct but complementary elements which include a vocational training college, a sixth form centre and a central hub providing dining, social and teaching functions for the college and the wider community. 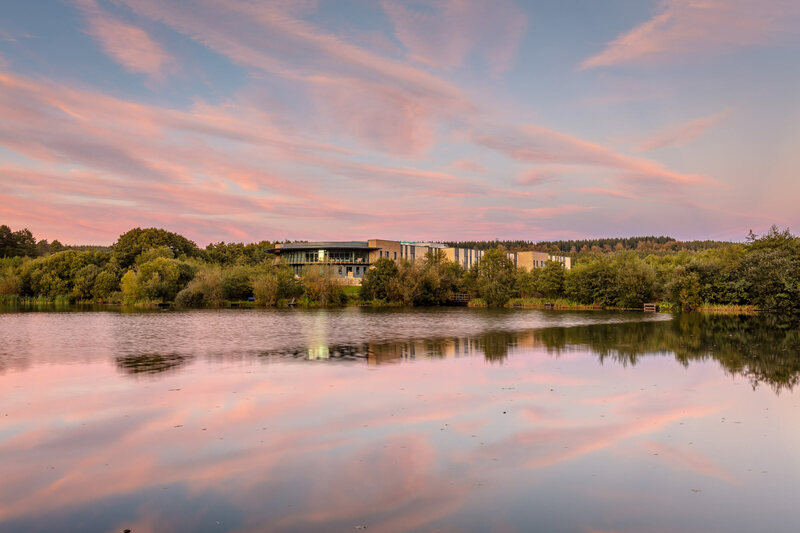 The design features large panels of glazing which have been included to maximise the views over the adjacent lakes and surrounding forest, as well as providing high levels of natural daylight and the opportunity to put teaching and learning on display externally.